A comedy, a tragedy. 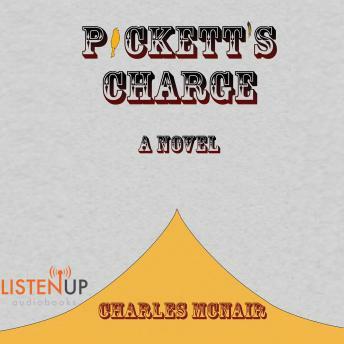 Threadgill Pickett, veteran of the Civil War, breaks out from an Alabama old folks home and starts a quest northward to kill the last living Union Soldier-this to avenge his twin brother, who was needlessly killed by Union soldiers, outside of any conflict. On his journey, Threadgill encounters two brothers building a time machine, a trio of Ku Kluxers, a man collecting raccoons that turn out to be rabid, a wannabe country singer, and a truck-driving woman to make men stand in awe. He also encounters a Utopian society of blacks and whites who share family, food, love, and grief.